Pictured is Leanne Margaret Perkins, 30, of Church Street, South Normanton, Alfreton, who has been jailed for 18 weeks after she commited two thefts and breached a suspended prison sentence. A drug-addict who resorted to committing two thefts to feed her habit and to get by has been jailed for 18 weeks. Chesterfield magistrates’ court heard on January 16 how Leanne Margaret Perkins, 30, of Church Street, South Normanton, stole meat from a Co-op, in South Normanton, and two perfume gift sets from the Cosmetics Company, at the East Midlands Designer Outlet, in Pinxton. 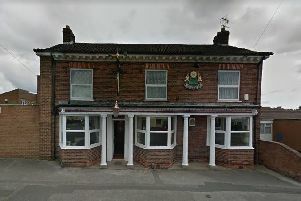 Prosecuting solicitor Lynn Bickley said: “The defendant entered the Co-op food store in South Normanton and was with a male and they selected items between them placing them in a bag and they left the store. Perkins told police they had stolen the meat form the Co-op on December 22 and the male she had been with had sold the steaks to use the money to buy drugs. Mrs Bickley said Perkins also went to the Cosmetics Company on Boxing Day with a male and he was seen to put items in a bag she was holding and they both left without paying. Perkins was detained by security staff and the goods were recovered and she made full admissions and said that she had planned to sell the items to cover everyday living costs. She pleaded guilty to the two thefts and also admitted committing the offences during the term of a suspended prison sentence. Defence solicitor Amie Godson said Perkins has struggled with drug addiction since she was 15-years-old after the deaths of her parents and after she had fallen in with the wrong crowd. Ms Godson added that her offending did not begin until May, 2017, because previously she had been able to get by and refrain from drug use. Perkins turned to crime after the breakdown of a long-term relationship, according to Ms Godson, and she had formed a new relationship with the male with whom she had committed these two thefts. Ms Godson added that Perkins has now broken away from this latest relationship and she had been seeking help from drug support group Addaction. Magistrates sentenced Perkins to 18 months of custody and ordered her to pay £75 compensation and a £115 victim surcharge.